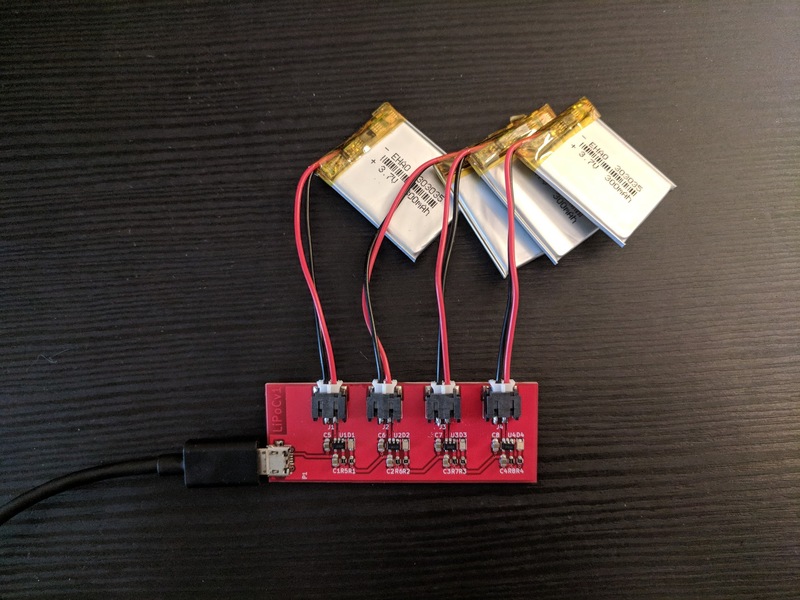 After I received the acceptance of Maker Faire Bay Area 2018, I had to prepare a multiple lipo batteries charger because in Maker Faire Bay Area 2017, I had five lipo batteries and a lipo battery charger with a micro USB connector, but lipo batteries were dead faster than I expected, and only one lipo battery charger could not cover all dying lipo batteries. Therefore, I decided to make my own lipo charger rather than buying one. These are the parts that I used for a PCB. The total cost for a multiple lipo batteries charger with a micro USB connector was only $11, so it must be cheaper than other products you can buy in online store. 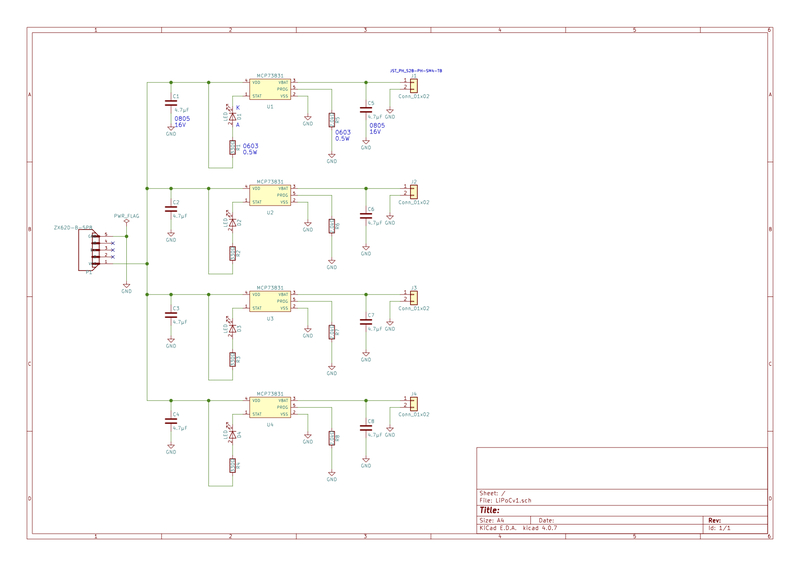 This is the schematic that I designed. 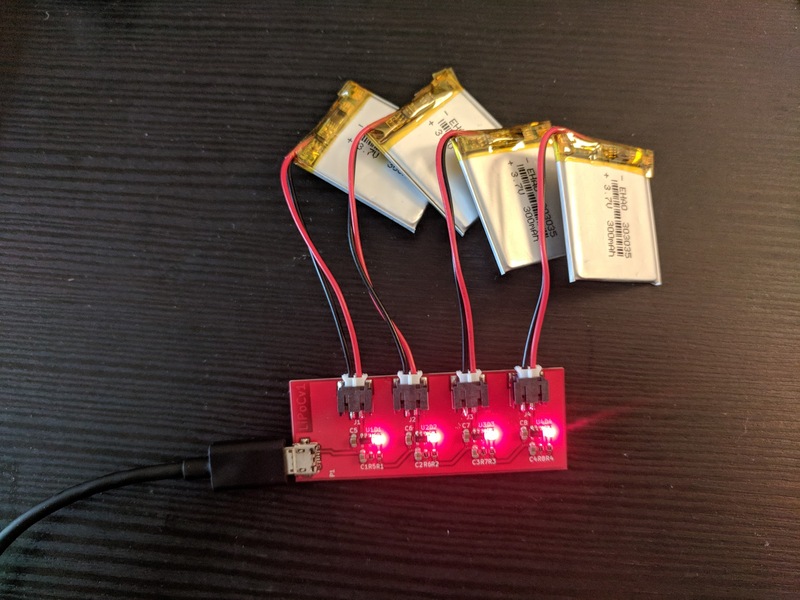 It was based on the Sparkfun lipo battery charger, but it could become multiple lipo batteries charger by connecting a micro USB and IC chips for lipo charge management control as a parallel circuit. When I tested how much voltage was supplied to each branch by a multimeter before I soldered all parts, around 5v was supplied from a micro USB connector, so it theoretically worked! 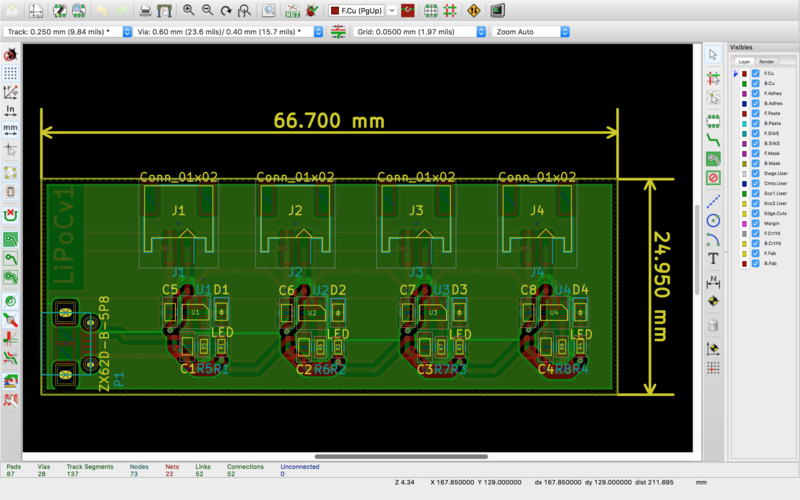 This is the PCB layout that I designed. In this test, I wanted to check if LEDs were correctly turned off when one of these lipo batteries or all lipo batteries were fully charged. Initially, all lipo batteries were not charged. After a couple of hours, all batteries were fully charged, and LEDs were also turned off correctly!! !